Any letter is just combination of space and form. 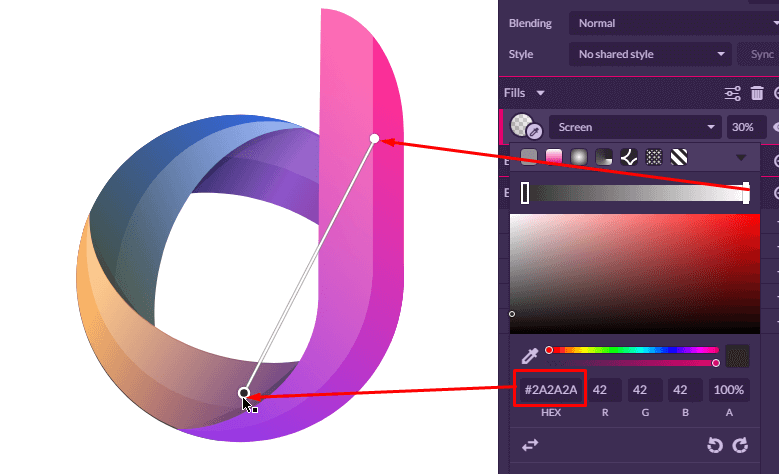 In today tutorial I will show how to design a letter with the simplest shapes possible and bring it to life using gradients. 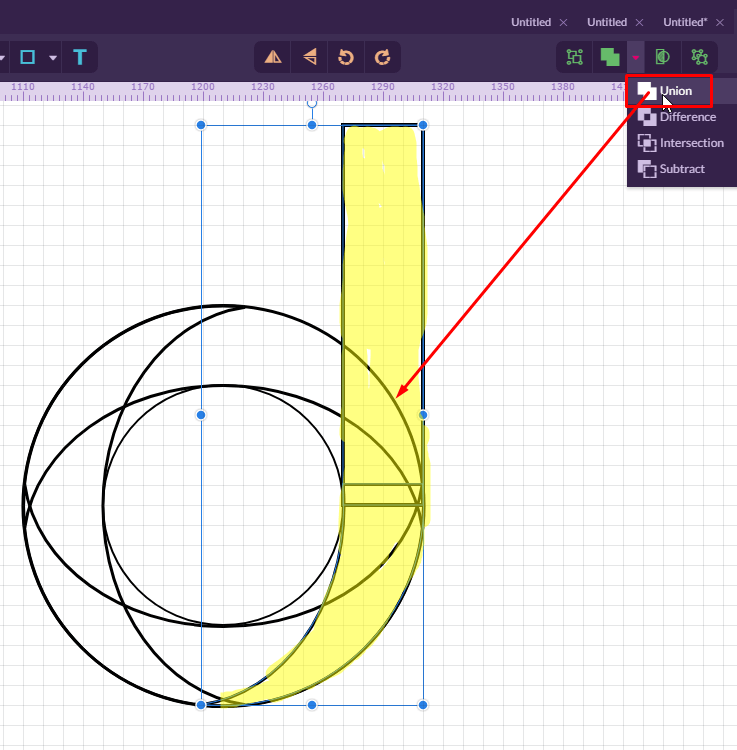 All you need for this tutorial is your own copy of the free editor, called Gravit Designer and a little bit of patience. 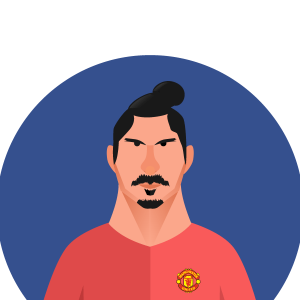 I highly encourage you to create your own version and share it through your social media account. Let everybody see your progress and how you can solve the problems straight after acquiring new knowledge and learning new techniques. 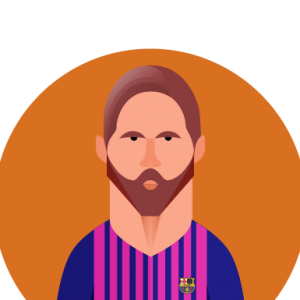 So if you are ready to design something awesome, let’s get started. Lunch the Gravit Designer application and start a New Document. 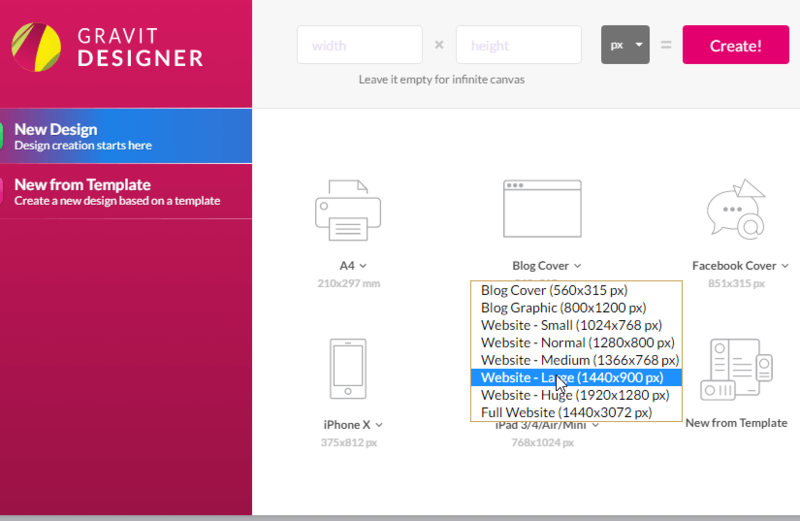 Let’s size the canvas with a 1440x900px, that you can find under Gravit’s default dropdown for web projects (see the picture below). 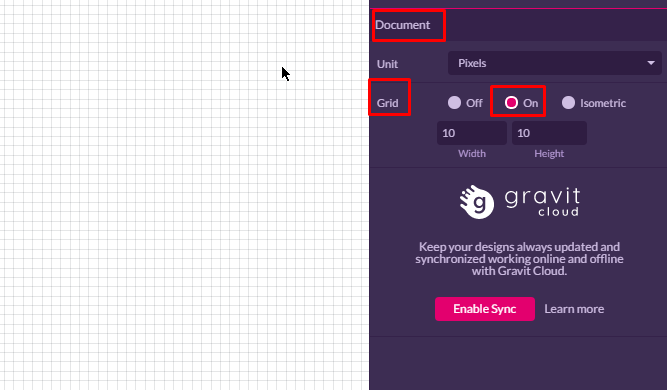 Head over to Document Panel and turn the Grid Option On. Do not forget to select the Snap To Grid option into the Snapping drop-down menu, located near the magnet icon on the Tools Panel (see the picture). 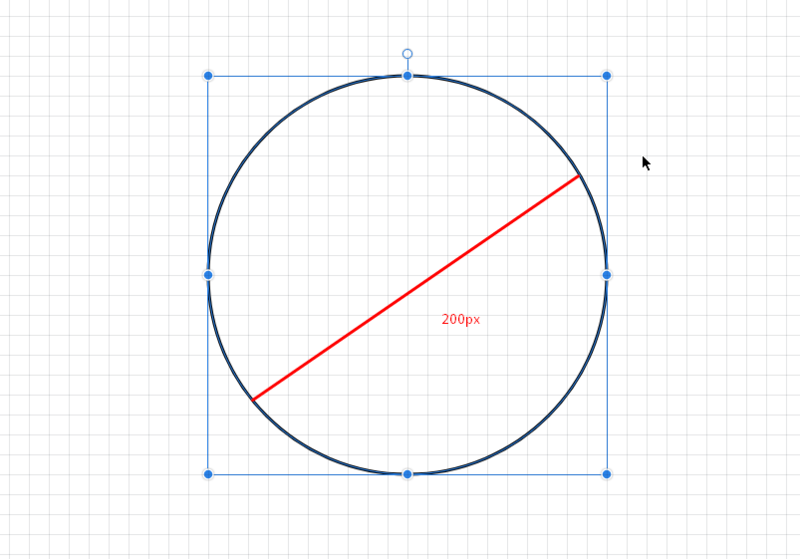 Create a 200px circle with an Ellipse Tool. Make a duplicate using the shortcut Ctrl/Cmd+Shift+D. Select both circles with Ctrl/Cmd+A and duplicate them repeating the same clone command again (Ctrl/Cmd+Shift+D). 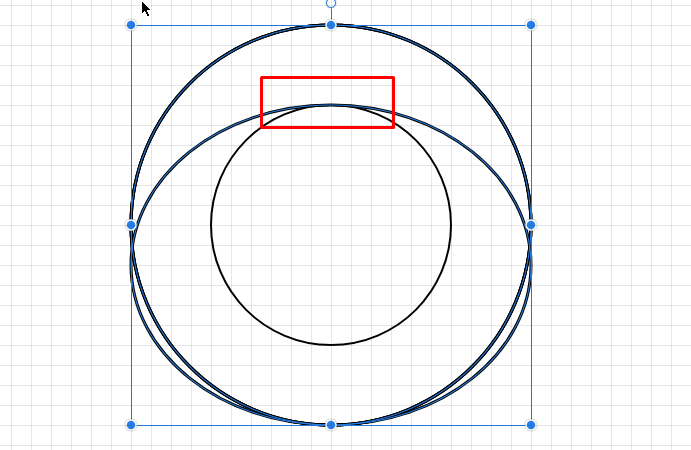 Now you have four circles in total, so we need to hide two of them by clicking Eyeball icon on the Layers Panel. There are at least three methods how we can create the lunar shape, that you see in the picture below. I am working with the Boolean Shapes operators. 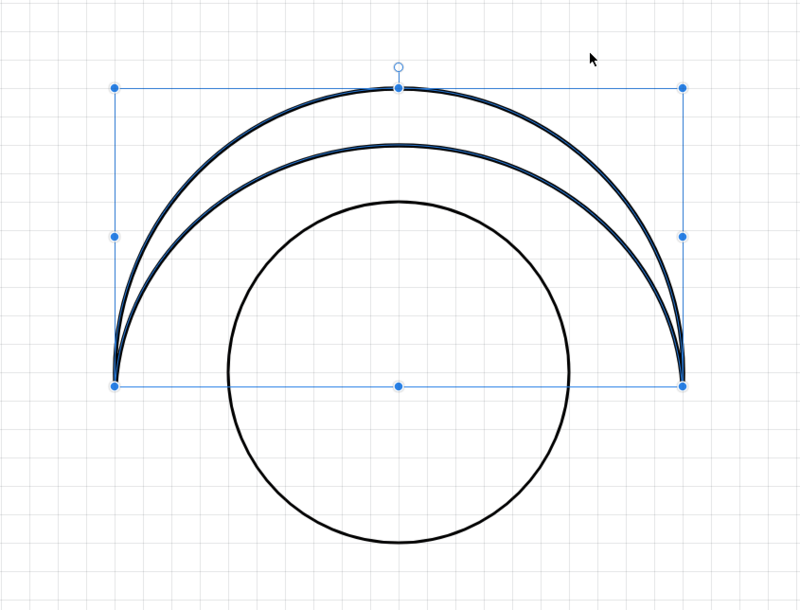 But before creating the shape, let’s create one more additional circle that is 80px smaller, that the previous four. Place it in the middle. This circle would be our guide for all of the transformations, we about to proceed right now. 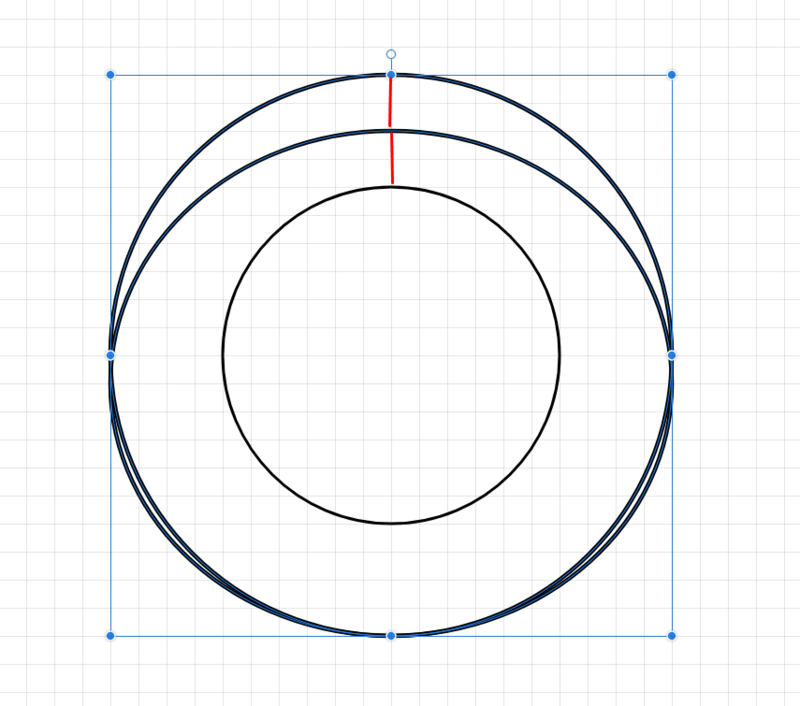 We can lock it on our Layers Panel to prevent further interactions with this circle. 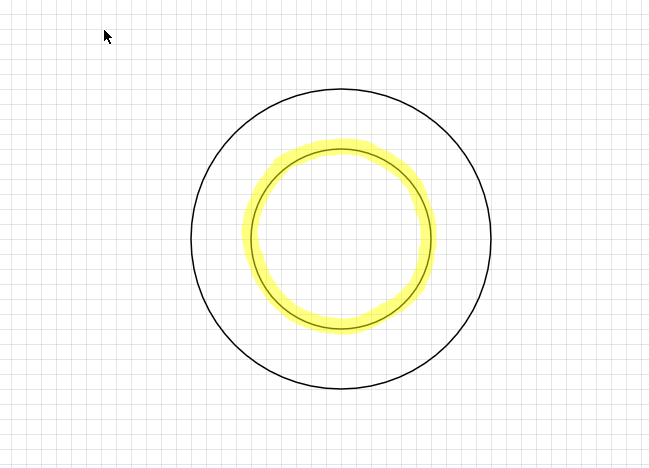 By the way, you can use an actual guide (Ctr/Cmd+Alt/Opt+R), I just thought, that a circle is much easier to create. 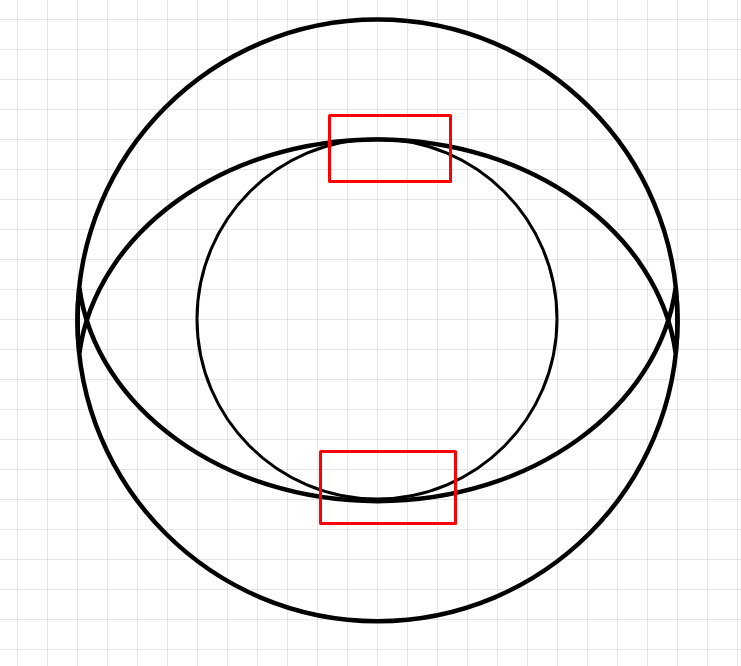 Let’s work with the pair of circles. 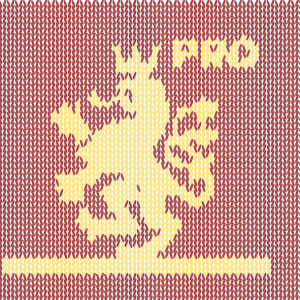 Select the first one on top and reduce its height on 40px. 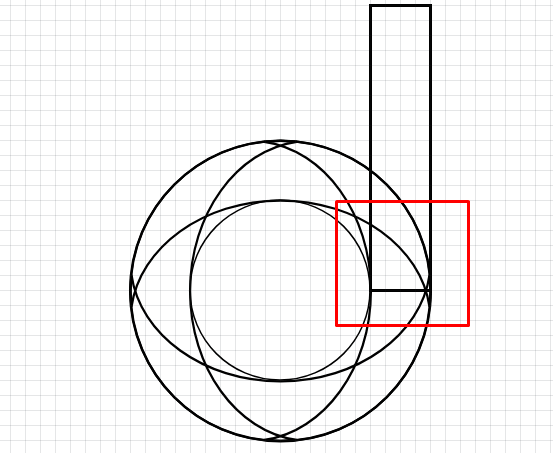 In order to do that, just drag the bounding box down to connect with the small circle. 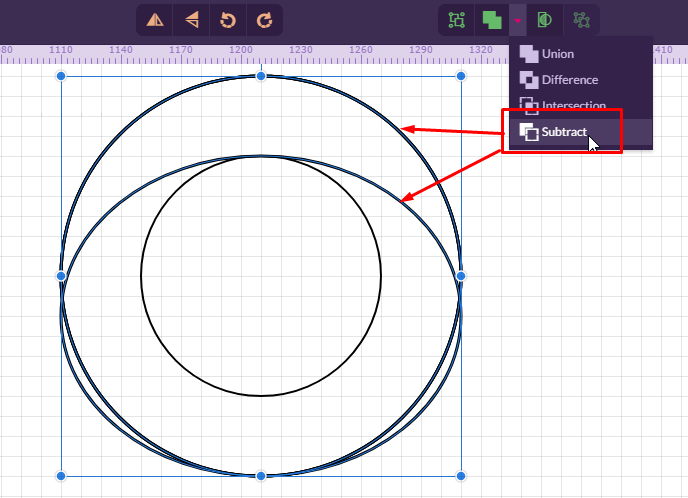 Next step is to select the pair and head over the Boolean Shape Operator Dropdown menu on the Tools Panel. In the opened drop-down select the Subtract command to subtract the front from the backward shape. That gives us the final result, that we should duplicate and reflect horizontally. Position it at the bottom of the original object, so they made a full circle together. Duplicate these two lunar shapes and rotate them on 90 degrees around the middle (the middle is indicated by our small circle). 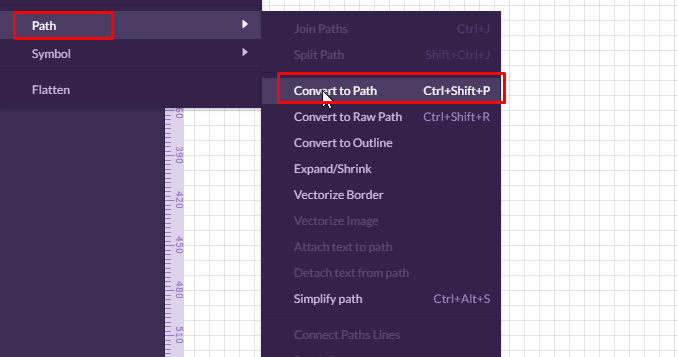 Select everything with Ctrl/Cmd+A and convert to the path using the Ctrl/Cmd+Shift+P.Last step is arbitrary, nonetheless, it helps us to reduce the size of the Compound Shape. By default, the result of Boolean Shape operators is a Compound Shape, that tends to fill the space of its components. Firstly, rotate all of our lunar shapes by the angle of 75 degrees to the left (counterclockwise). 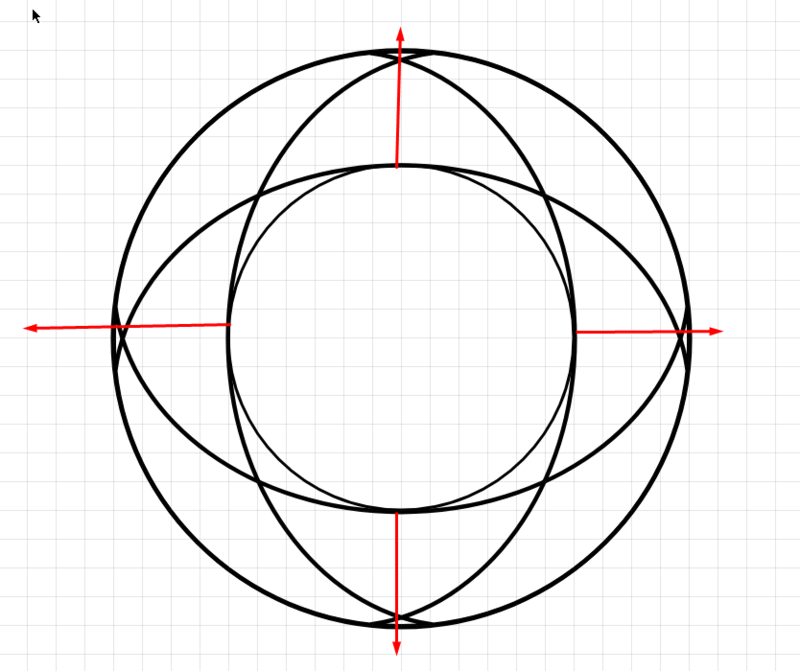 Use the small circle to find the middle. 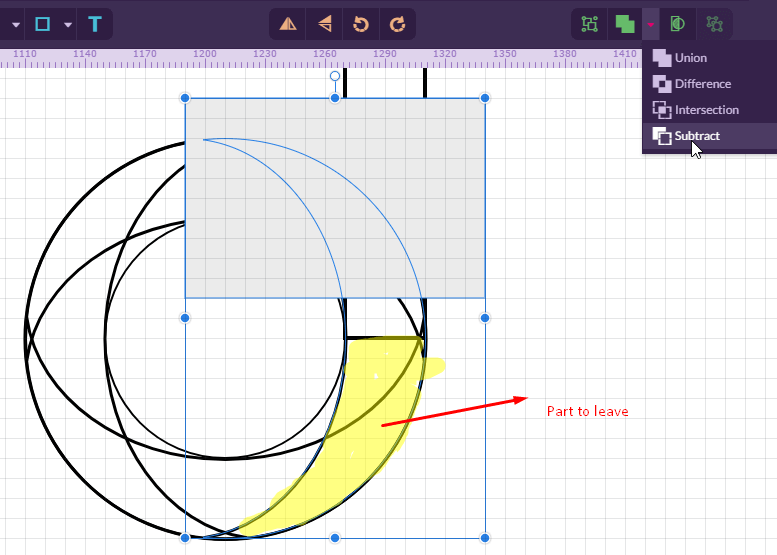 Fourthly, get rid of the tail that extends the rectangle on the top right by creating and subtracting a new rectangle from the lunar shape. 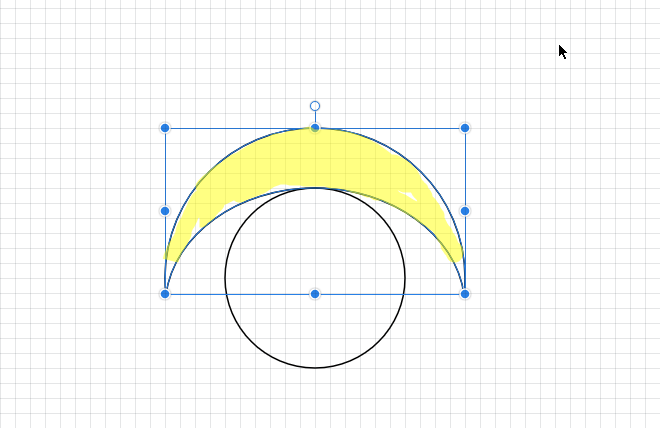 Fifthly, select both the rectangle ad the rest of the lunar shape and combine them into the single Compound Shape with a Unite Boolean Shape Operator. Unlock the two circles. 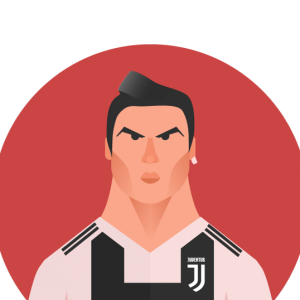 Resize the forward one on 20px using the Selection Tool. Reapeat the steps to achieve the lunar shape. 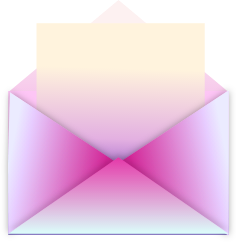 Duplicate and rotate to make four pieces. 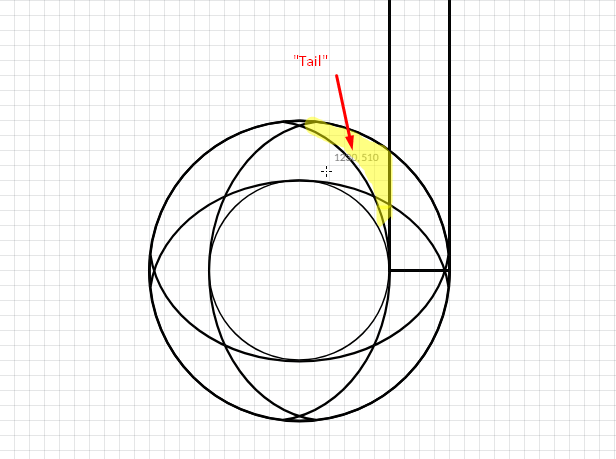 Set a gradient to the fill, arrange it along the shape. 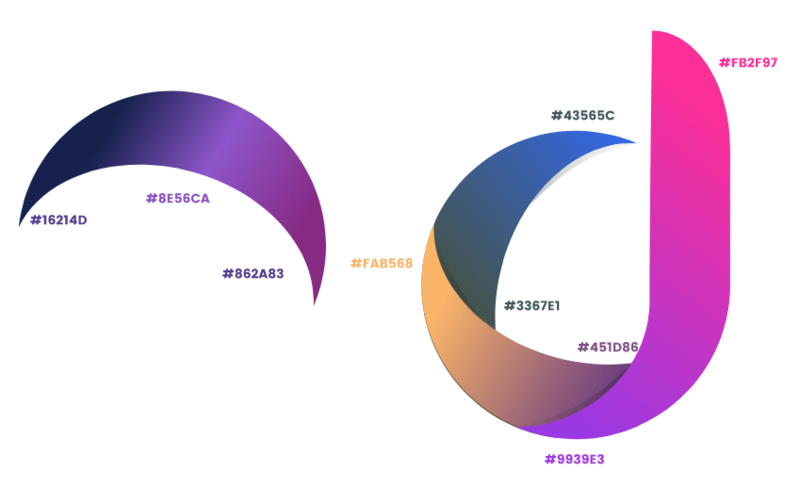 Set a blending mode to Screen to render black color to transparent and decrease the opacity to 30%. That’s all here, thanks for reaching that far. Do not forget to share your artworks on Twitter and Instagram and visit vitorials.net for more.